Continuing the New Year’s Resolution theme from our earlier blog this month here, we wanted to keep things going and encourage you to make 2018 a year to be clean. Because your goals should be realistic, we came up with five different areas for you to focus on keeping clean this year. If we honestly shared how often we wash our towels, it probably wouldn’t add up to be very much. Yikes! But, a good rule of thumb is to wash them on the third use. Since you’re only using them once a day to dry off, it’s not so bad. But, hand towels should be changed and washed more often since you and your family use them multiple times throughout the day. If you can’t remember the last time you washed your sheets, then you are already overdue! When you are asleep, you can sweat, drool, and shed dead skin. All of those factors add up quick and no one wants to be sleeping in that. Make yourself a schedule and wash your sheets every two weeks and change your pillowcases every week to maintain pleasant freshness and good hygienic health. At the minimum, your windows should be thoroughly cleaned twice a year. It’s not as hard as you think. Plus, our ThermoKing windows make cleaning a breeze. Keep in mind that depending upon your local weather, you may want to clean them more than twice a year. And of course, don’t forget to clean both sides of your windows. You know the saying, “Look good, feel good”? Well, it’s the same with your home. If your windows are clean, your home will feel clean. Bathrooms are a breeding ground for germs. Yuck! Cleaning them regularly is a great area of focus this year. Make it part of your routine by having a set day to clean, or wiping down the counters every day, or making it a point to squeegee your shower each time you use it. Another tip is to have cleaning supplies in every bathroom in your home so you have everything you need right there. Try stocking each one with Clorox wipes, Windex, and a wastebasket so when it’s time to clean, you have all your supplies in one place ready to use. You might not think about keeping the air in your home clean, but you certainly should. Changing your air filters is key to breathing easier and staying healthy. Plus, when your filters are clean, your home doesn’t have to work as hard, which can end up saving you money on your energy bills. Who knew being clean could actually pay off? At the end of the day, you want a clean home. And, a great way to ensure that it is by setting up a schedule and having things set in place to help you accomplish your goals. 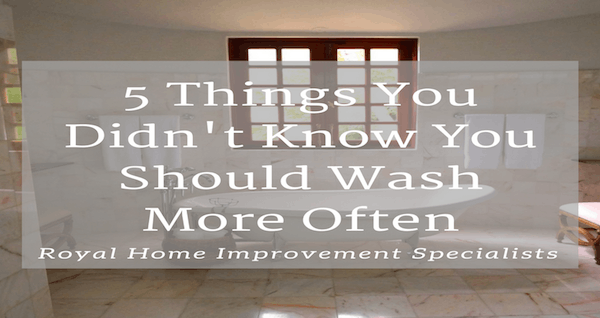 Whether it’s a schedule that says you will clean the bathroom on Monday’s and wash your sheets on Wednesday’s, it will be sure to set you up for success when it comes to keeping your home clean.